Top INNO Instrument Distributor For Sales & Service 6 Years In A Row! INNO View 5 core alignment fusion splicer. 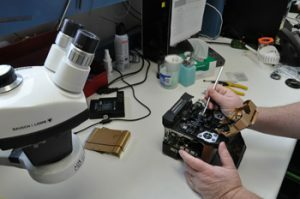 The View 5 core-alignment fusion splicer has a 520X magnification, the highest magnification of any fusion splicer on the market today. 3 year warranty! 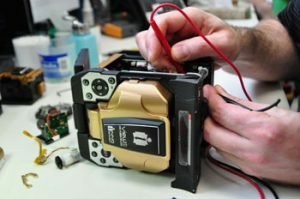 The View 7 Core Alignment Fusion Splicer has a large battery capacity at full charge allows up to 355 splice and heating cycles. View 12R+ ribbon splicer with a fully motorized clamp alignment system, is the most powerful and state-of-the-art ribbon splicer on the market. Its advanced automatic clamp alignment system offers more accurate and dependable ribbon fiber splicing up to 12 fibers.